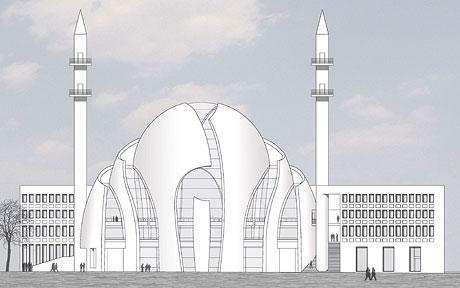 The city council of Cologne has voted to allow construction of what will be one of the largest mosques in Germany, a plan that has drawn protests from residents and Cologne’s Roman Catholic archbishop.The vote late Thursday by most of the city’s political parties cleared the way for the Ditib Turkish-Islamic umbrella group to build a new house of worship – complete with two 55-meter-tall, or 177-feet-tall, minarets – in the city’s Ehrenfeld district. Sardi Arslan, the leader of Ditib, said Friday that construction of the mosque would begin immediately, and he expressed hope that it would facilitate communication between Muslims and non-Muslims. “We are building for all citizens of Cologne, not just for the Muslims,” Arslan said in a statement. For the past 20 years, Ditib has used a converted warehouse as a house of worship. That will be torn down to make way for the new building, which the group hopes to finish by 2010.